Not even an excruciatingly painful, dislocated shoulder could dampen the potency of I-Octane's performance while on his 'My Journey' tour across Europe. 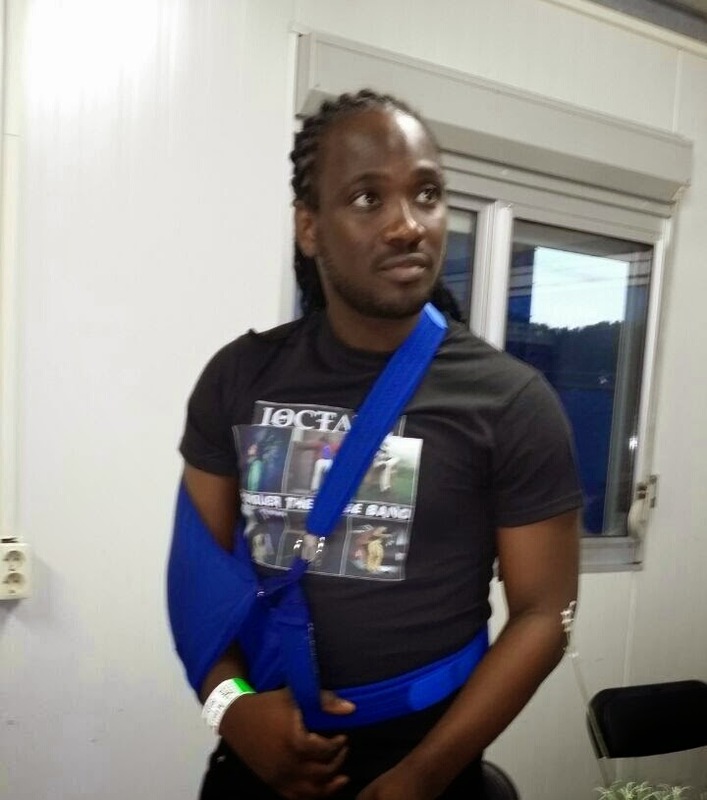 I-Octane during his performance at Reggae Geel in Belgium dislocated his shoulder during a performance where he was said to exuberantly jumped from the stage, missing his target and fell. Without missing a beat, I-Octane was said to have literally clambered back on stage and bravely performed for another 45 minutes without fans becoming aware of his agony and was called back to the stage on two encores by the Mcees. I-Octane in a release recalled screaming "No!" in his head when he was called back but went anyway and performed another song but after the second encore and following the same script he quickly put down the mic and told his team, "take me to the hospital now my shoulder is on fire" the report said. because disappointing his fans was not an option. 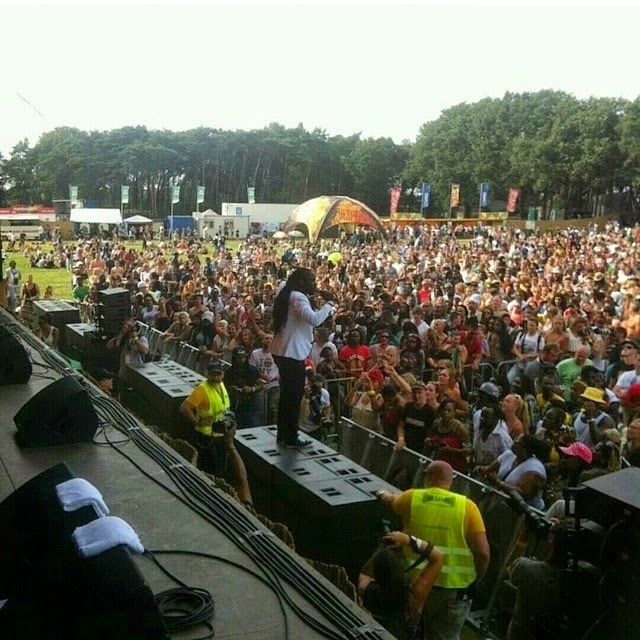 Determine to perform his other shows at Reggae Jam in Germany and Reggae Sundance in the Netherlands where he shared stage with some of the biggest names in reggae such as Big Youth, Earl Sixteen, Luciano, Beenie Man, Tarrus Riley, Shaggy, Tanya Stephens, Busy Signal and Romaine Virgo, I-Octane gave his best performance to a receptive and appreciative crowd. I-Octane's challenge is a reminder of how success comes in the lives of many a successful artistes out there. A dislocated shoulder could not stop him from fulfilling his commitment to fans and his work. His tour has ended but he continues along his path full-filling his other obligations in the coming days that include performances in St. Maarten, Canada, Belize and the United States.